BP, Egypt and Sunken Cities – BP or not BP? Posted on May 16, 2016 by BP or not BP? Egypt is one of the five most vulnerable countries in the world to climate change, with two of its four most populated cities – Alexandria and Port Said – in danger of sinking due to sea-level rise in the near future. Yet the Egyptian government and BP keep doing deals that will increase greenhouse gas emissions. Egypt could see 30 percent of the Nile Delta – home to half its citizens – become submerged in just the next 15 years. The Nile Delta is also where BP’s operations are focused. 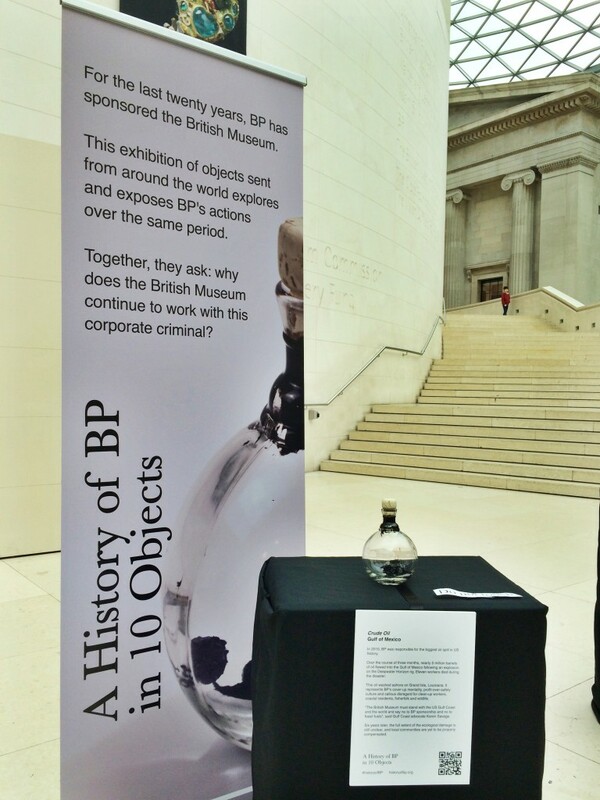 the world and we thank our partners in the UK, such as BP, for working with us in utilizing our resources to develop our economy and through such an exhibition unraveling our history as well. I invite the people of Britain to visit this exhibition to get a glimpse of what Egypt has to offer, and come to Egypt to live that experience. BP’s long involvement in Egypt has included political manipulation and support for the repression of dissent. The company was a staunch supporter of the brutal Mubarak regime before the revolution. In 2012, BP was sponsoring a business lobby organisation that enthusiastically welcomed the use of executions and force to crack down on protest. BP has spent much of the last five years trying to seal a major deal to extract gas offshore of North Alexandria. The deal was first announced under Mubarak in July 2010, for $9 billion. Following the revolution, new President Morsi met BP CEO Bob Dudley in September 2012 and announced the same project, then inflated to $11 billion. However, BP was soon forced to put the flagship project on hold after residents in Idku mobilised against the plan to build a mega-gas plant next to their homes including sub-sea pipelines, offshore platforms and a new gas plant on the beach of this primarily fishing community. They blocked roads, held popular street assemblies and occupied the building site. After long delays, the local resistance forced BP to concede. 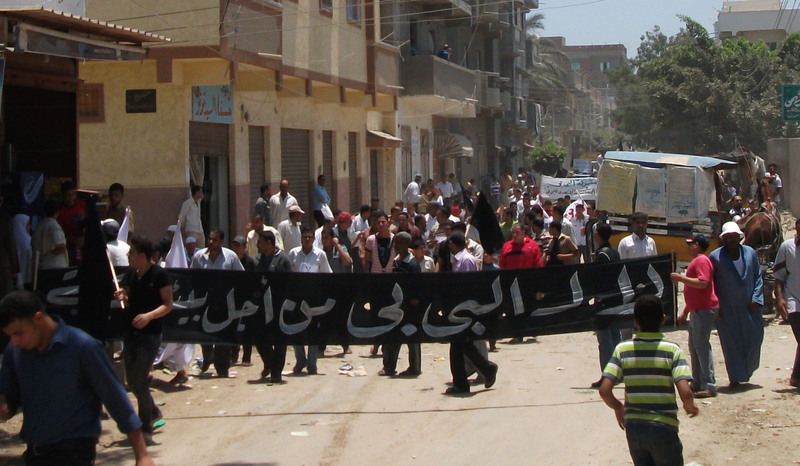 The company instead relocated to Burg Mighazil, a village in the neighbouring governate, where BP made an alliance with the Muslim Brotherhood – then running Egypt’s government. But once again, popular opposition put BP on the back foot and stopped construction. 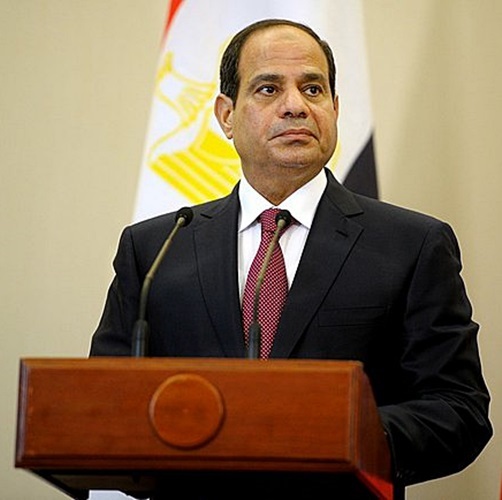 In 2014, former military leader Abdel Fattah El-Sisi became President and BP seized the opportunity to restart drilling and construction – this time cutting a deal worth $12 billion – the largest foreign direct investment Egypt has ever seen. CEO Bob Dudley again went to Cairo to meet with new PM Ibrahim Mahlab, and celebrate renewed co-operation. As part of the clampdown on public criticism under President Sisi, Egypt’s strict anti-protest law threatens multi-year prison terms for street protests, with leftists, liberals and Islamists all receiving long jail sentences. With opposition silenced, BP’s way was cleared, and the company signed the final agreement for the project to go ahead in 2015. Each time the North Alexandria deal was renegotiated, BP managed to squeeze better terms out of the Egyptian government – meaning fewer benefits for the economy and the general population. It also benefitted greatly from Sisi’s new Investment Law, which removed legal oversight over corrupt deals. The deal is being financed by a partnership between BP and Russian oligarch Mikhail Fridman, and means the company is once again working with Lord Brown, its former BP CEO, who is executive chairman of L1 energy, Fridman’s oil and gas company. Most recently, BP signed a brand new deal with Egypt in early November 2015. Bob Dudley and dictator Sisi met in London during Sisi’s recent visit to seal the deal on the Atoll discovery, a large deepwater field 6400m beneath the surface of the East Mediterranean Sea, estimated to hold 1.5 trillion cubic feet of gas, announced in March 2015. One of BP’s directors is Sir John Sawers, former British Ambassador to Egypt and chief of MI6 from 2009 to 2014. Egypt is one of the five most vulnerable countries in the world to rising water levels. Its shores are at risk of sinking, while its water security and food security are under threat. By 2020, Egypt could lose more than 15% of its most fertile agricultural land in the Delta region, due to sea level rise and land salinisation. The Nile Delta is home to half of Egypt’s 80-million-plus population, including two of its four most populated cities, Alexandria and Port Said. Climate change is causing sea-level rises and a severe loss of sediment in the Nile Delta. Combined, this could see 30 percentof the Delta submerged in the next 15 years.